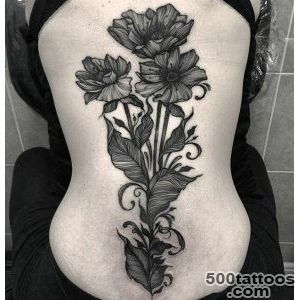 Almost all tattoo with the image of flowers are a deep inner meaning , rooted in the past. 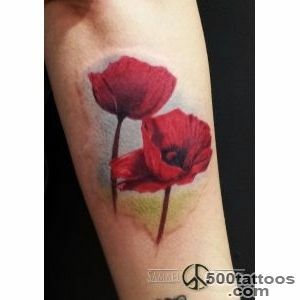 Tattoo poppy also is no exception . 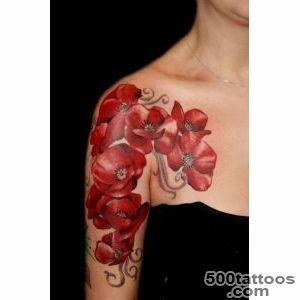 Often the flower tattoos wrongly attributed exclusively feminine . 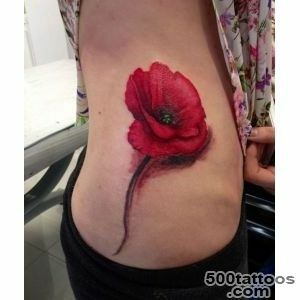 As for the poppy - he is equally well suited to both women and men ,as represents completely different properties inherent equally so, and others . 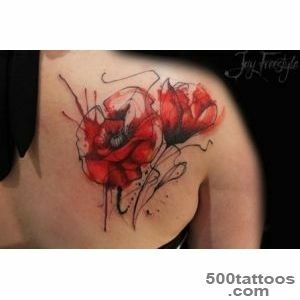 Sketch of tattoo poppy perform , usually in color , and is applied to the shoulder , back , hip , thigh , and other locations . 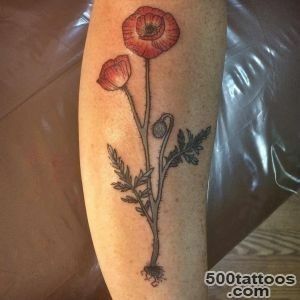 In ancient times, poppy seeds consumed as a sleep aid .Then, still not really aware of the narcotic properties of this flower . 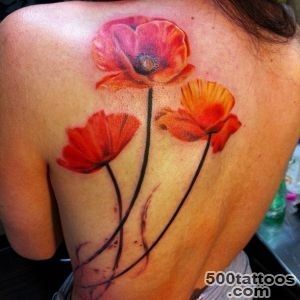 If a person took an overdose of magic drug - it could go on forever kingdom of Morpheus . 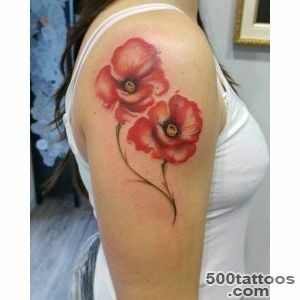 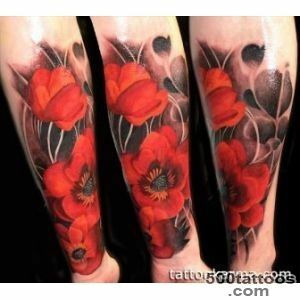 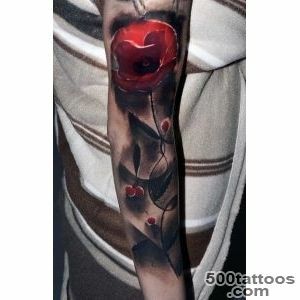 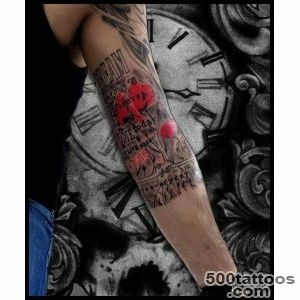 It originates a value poppy tattoo like eternal peace , forgetfulness , sleep and death . 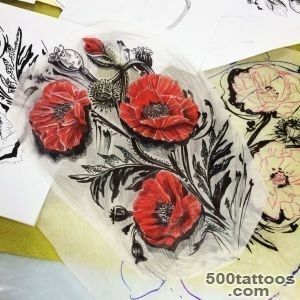 Ancient Etruscans according to legend sewed clothes poppy for the underworld god .There is an opinion that it has since the beginning of the tradition of taking pictures of demons and other underground inhabitants in scarlet or red robes . 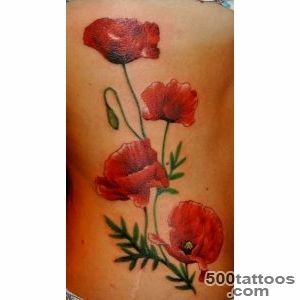 The ancient Greeks brought the head poppy as a sacrifice to their gods , replacing their human heads . 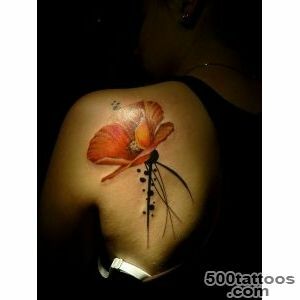 Do not , however, take this flower only in this aspect , there are other associations,associated with his image . 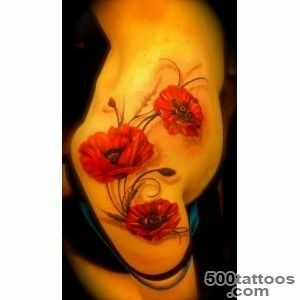 For instance , many ancient civilizations poppy flowers adorned their temples and holy vessels , especially during the holidays . 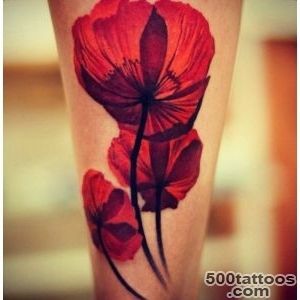 In ancient Greece, the poppy was considered a symbol of love and truth on him in love young men and women recognized each other's tender feelings , pronounced the vows of love and fidelity .Ancient Greek girl sometimes wondered at maqam , to see if their beloved faithful . 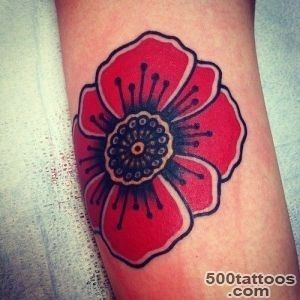 In the UK, this flower is a symbol of valor and military honor and a tribute to the memory of the participants and those who died during the Second World War . 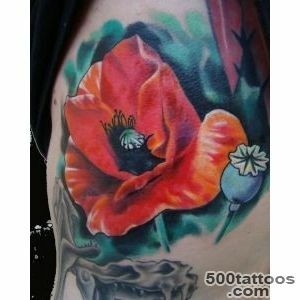 The ceremony was dedicated to the celebration of the memory of the day ,Each attaches a poppy on the chest or his image icon. 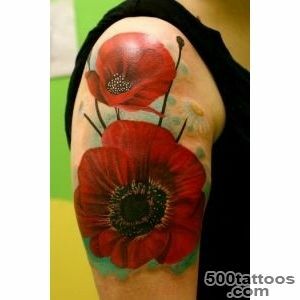 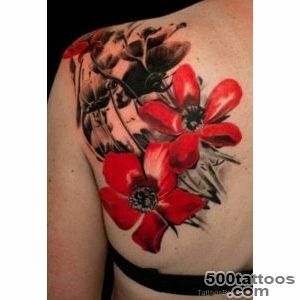 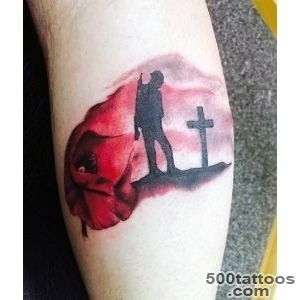 Therefore, in this sense, poppy tattoo can also be attributed to the army tattoos . 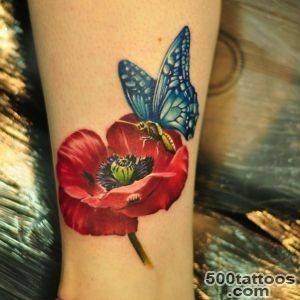 In Russia, the poppy is always loved and revered . 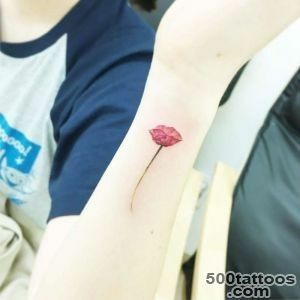 It belonged to a flower , first of all, as a symbol of eternal youth and beauty . 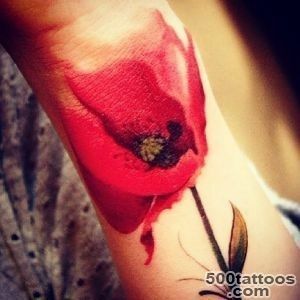 It was also believed that the poppy shows the transience of life ,and yet it brings forgetfulness and renunciation of earthly problems and hardships . 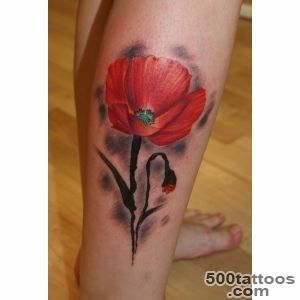 There is no doubt in the importance of tattoos Poppy everyone puts something of his own . 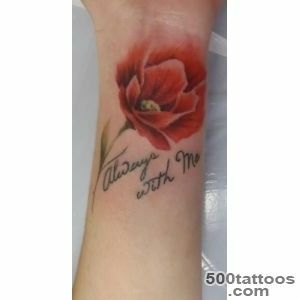 For some, it is the memory of a great love , the oath of allegiance , or the memory of some important event . 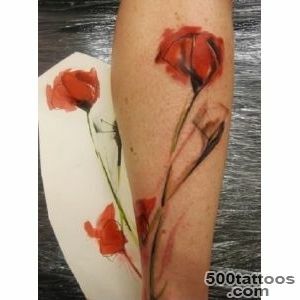 For others - it is incredibly beautiful flower , bright and quivering like the youth and life itself . 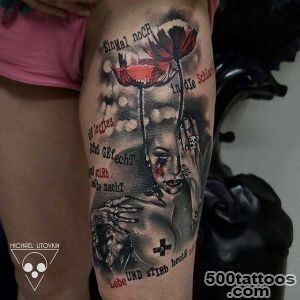 And someone else -does not look for any hidden meanings and interpretations , and selects an image , simply because he liked the tattoo with poppy seeds . 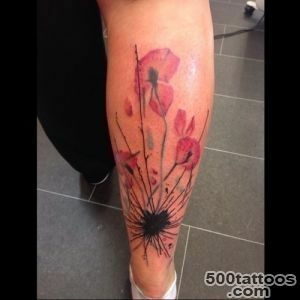 And remember : whatever the poppy tattoo sketch - the main thing that it was unique! 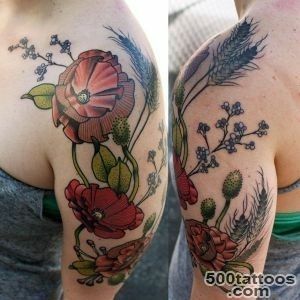 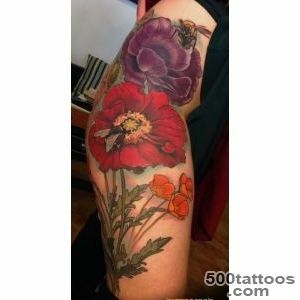 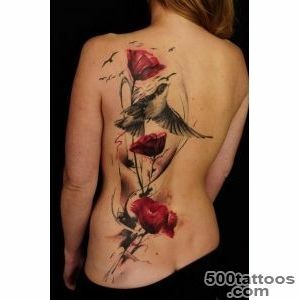 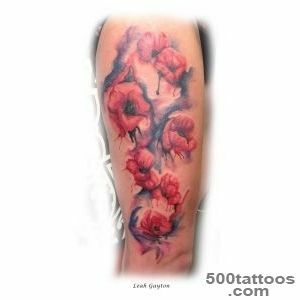 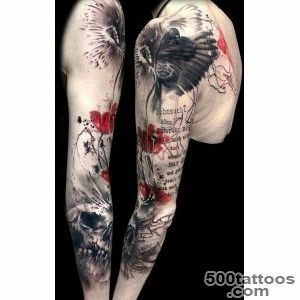 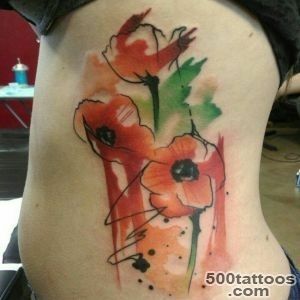 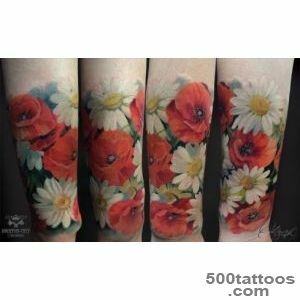 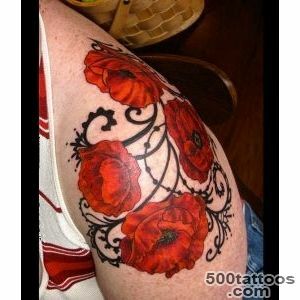 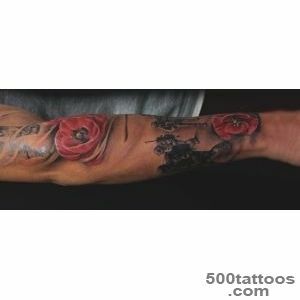 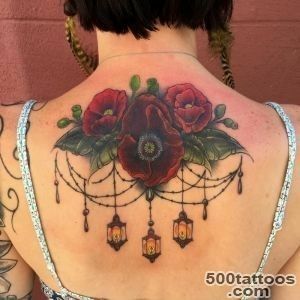 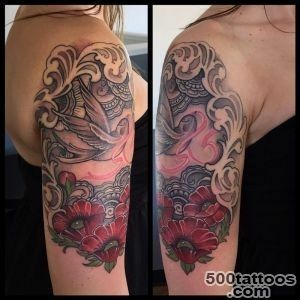 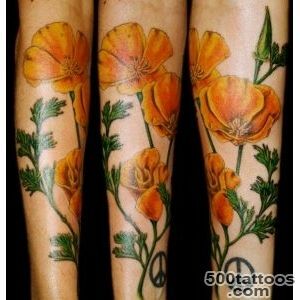 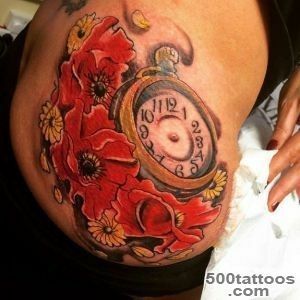 Below are photos of tattoos with the image of a poppy flower by various artists for your inspiration .